It seems that the older I get, the more I have to learn. Twenty years ago, when I was seventeen, I thought I knew everything. Haha! Silly younger version of myself. With age and experience has come acceptance of the glaringly obvious- I hardly know anything at all!!!!! Er, alright, I can give myself some credit. I’ve completed my fair share of schooling, taught young children for nearly a decade, and have been cooking food incessantly (viewed as an expert?!?!) for more than a few years now. Even so, I feel like the “things to learn” list is boundless, in an exhilarating way, and I am struck by the power of that. An open mind and a curious soul allow me to chip away at the vast world each day, tucking little bits of information under my cap, saving it- hording it- reveling in the acquisition of knowledge. I have learned lots of lessons. I’ll share them as I go along. I’m going to mark said lessons with an asterisk (*). 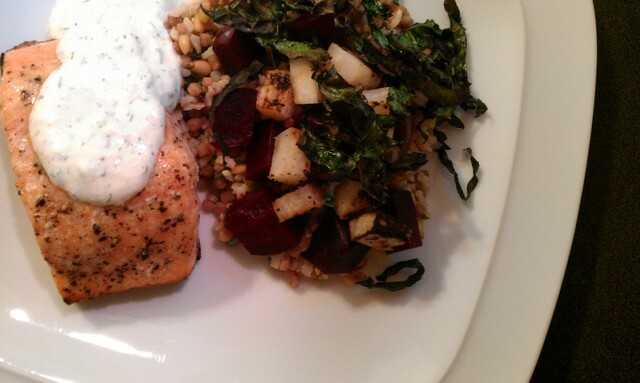 Grilled Salmon with Brown Rice and Wheat Couscous Pilaf, Lemon Roasted Beets, Grilled Kohlrabi, and Kale Finished with Fresh Horseradish Dill Cream Sauce. 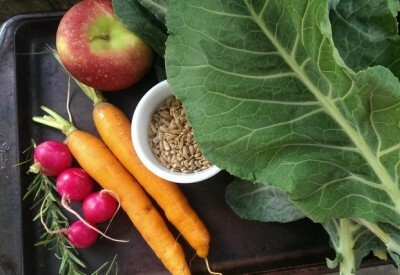 I knew I wanted to spotlight a few of this week’s CSA veggies, beets, kohlrabi, and kale, in a different way than I have before. You’ll see several methodologies at work here, so feel free to pick and choose any of the options below. It’s all about inspiration. I spent hours poring over beet recipes and other blogger’s renditions of the blood red root, leaving no stone unturned, before finally brainstorming with my husband. We decided they would be roasted in a special sort of bath. This is a recipe for magic. I roasted all of my beets at once. You really only need about 3 for the meal itself. Wash and dry your beets well after removing the greens. 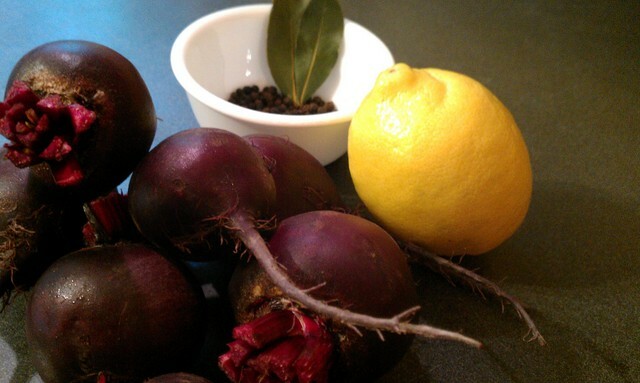 Place them in a roasting pan with sliced lemon, peppercorns, and bay leaves. 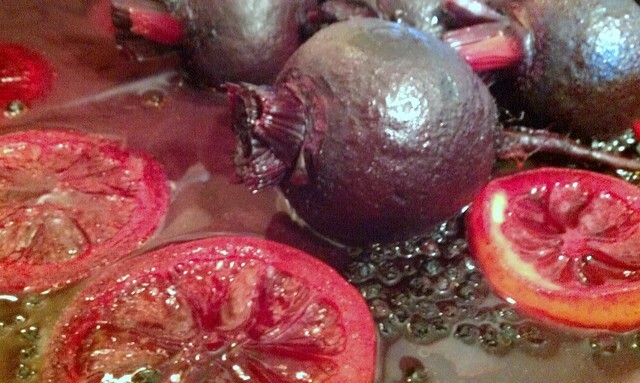 Drizzle the beets with olive oil and season with salt and pepper. Toss with your hands. Then, add about 1/4 inch of water to the pan. Cover tightly with foil and roast for 45 minutes to an hour. 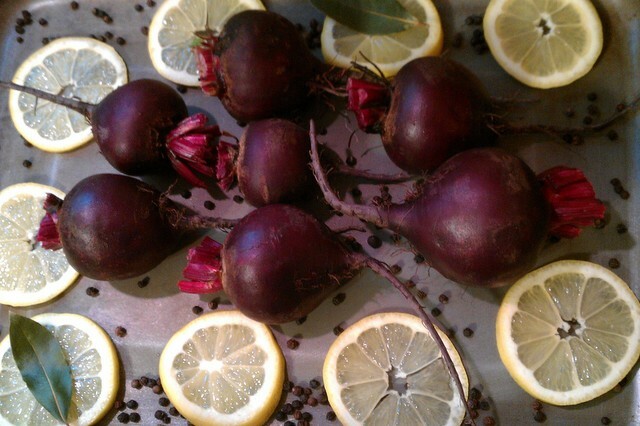 Beets are ready when you can easily pierce them with a knife or fork. When they are ready, carefully remove the foil and let the beets cool. Use your thumbs to nudge the skins off. Then, you can slice them or cut them into chunks as we did. When you taste one, you’ll see just how sweet, silky, and flavorful they are. An hour plus cooling time gives you time to play in the kitchen. In my quest for beet pairings other than the ever-popular (deservingly so) orange and goat cheese, I noticed someone using prepared horseradish. Brilliant, I thought. I’ve used fresh horseradish only once before, but it was a revolution for me. Super fragrant! Spicy and earthy- almost floral- but not harsh at all. 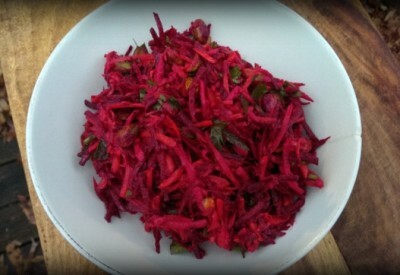 I thought it would complement the beets beautifully, even more so with a touch of dill. 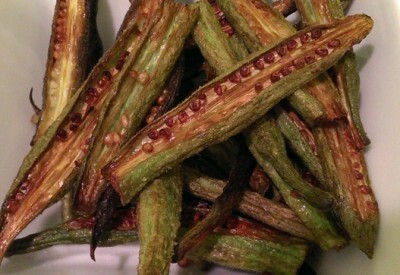 Wash and peel your horseradish before grating. 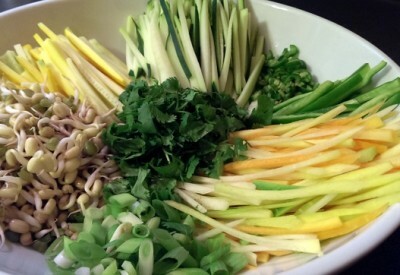 Then, simply combine the above ingredients in a bowl with a good couple pinches of salt and pepper. Mix and taste. Adjust seasoning to your liking. 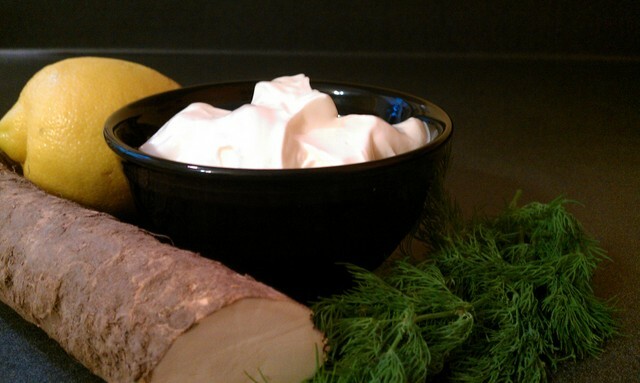 Trust that the flavor of the horseradish will come to the forefront as it sits. Cover and chill for as long as you can before serving. 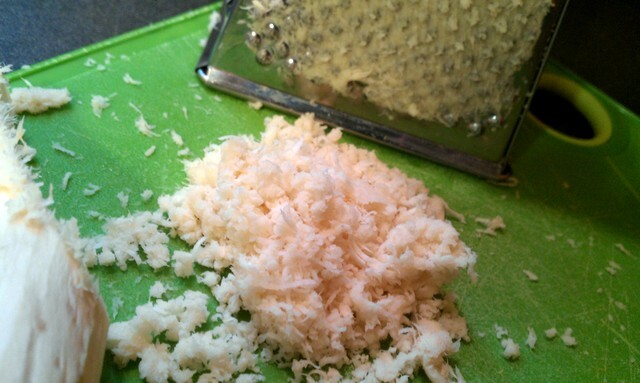 *Lesson: cleaning a box grater after grating horseradish can be a large pain in the rear. My trusty husband used a toothpick and lots of patience to finish the job. A microplane may be a better tool for this task. Now, onto the grains. I am kind of obsessed with strange grains and grain-like substances: couscous, quinoa, barley, farro, rices, and millet, to name a few. 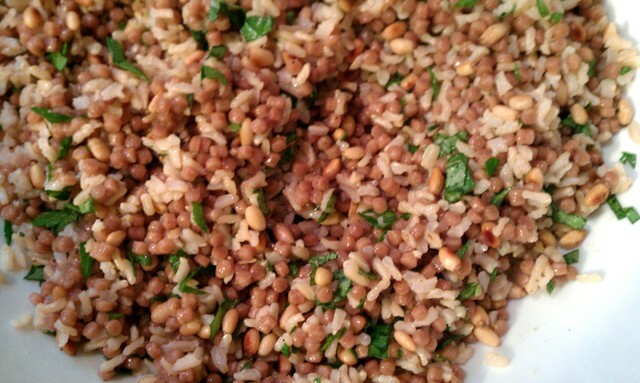 One day when I had leftover rice and quinoa, I mixed them together and loved the combination of flavor and texture. I wanted to create something like that to act as a “bed” for the veggies, rather than turning them out over lettuce. You can consider this mash-up a pilaf or wild rice of sorts. 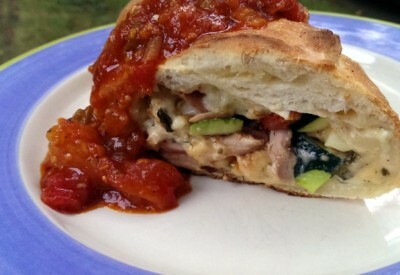 It’s a great idea for leftovers at the end of the week. 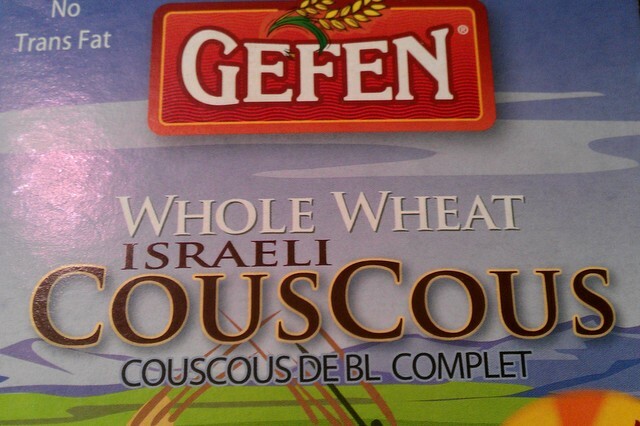 *I thought that Israeli couscous was larger than this, more like the size of a big pearl. I was under the impression that this type of couscous (pictured above) was a bigger variety than the traditional teeny grains, but not as large as Israeli. You know why, because it’s not labeled as such at the DeKalb Farmers Market. Well, shame on me, now I know. Toast 1 Cup of the couscous in 1 T of olive oil, stirring. 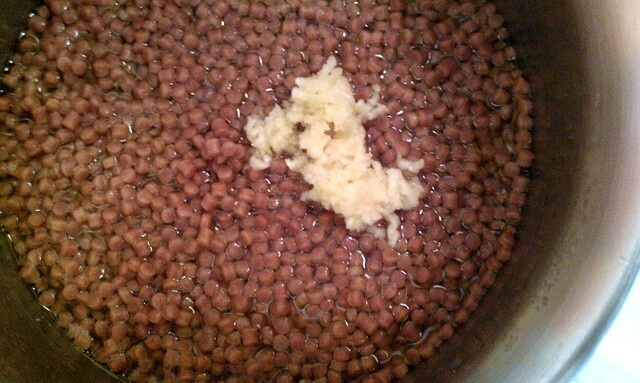 Add 2 C boiling broth (as opposed to water) and a 1/4 t of salt and a pinch of pepper. Reduce heat to low and simmer for 8 minutes with the lid on, stirring occasionally. 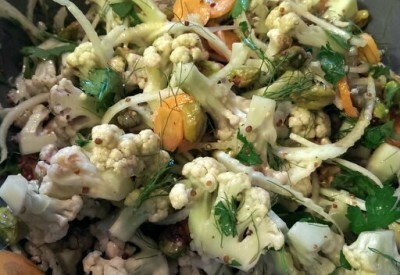 and let the couscous steam with the lid on until you are ready to incorporate it into your “pilaf”. All of the liquid was eventually absorbed. 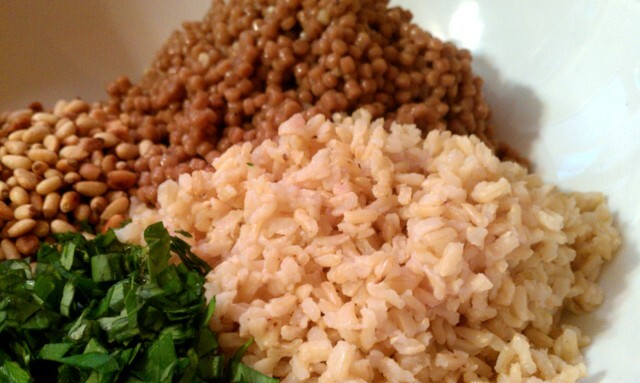 Stir together your pilaf ingredients and taste the goodness. Of course, adjust seasoning to your liking. We fell in love instantly with this blend. 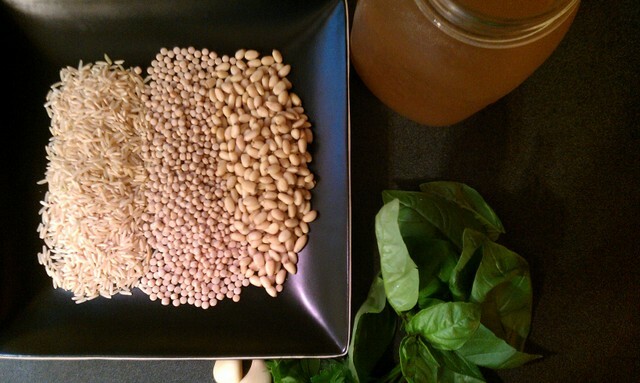 But you could use different nuts, seeds, herbs, or grains any day of the week. Onto the grilling! 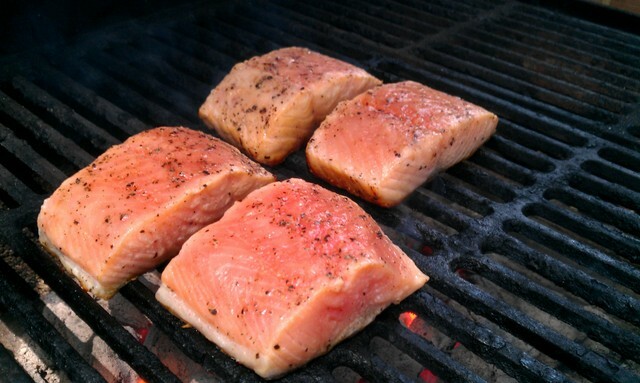 We fired our grill up with Kingsford hickory charcoal, since we thought it would impart yummy flavor to the salmon. It didn’t hurt the kohlrabi either, but not much does. 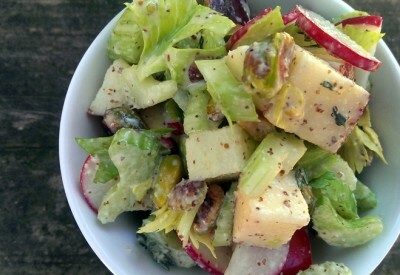 Dearest kohlrabi, you are the best. You can be cooked in any way imaginable, or not cooked at all. You rule. For real. Kohlrabi is the new black. It’s so popular and abundant. Versatile and tasty. 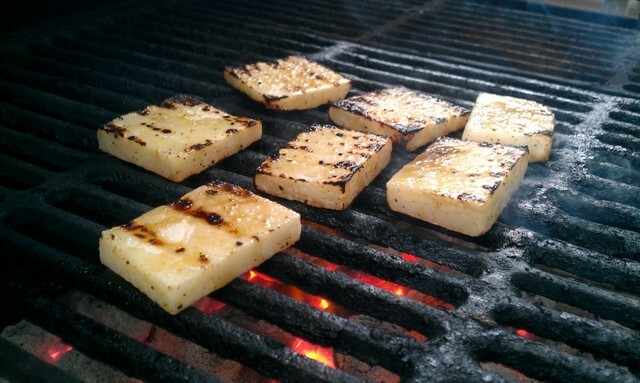 This time, we opted for grilled planks to top our pilaf. 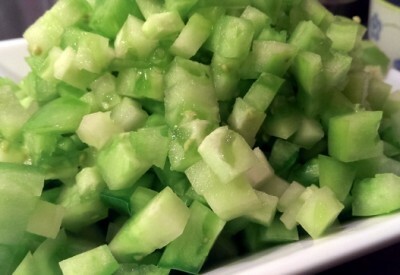 Cut away the skin or peel the kohlrabi until you’re dealing with all white, crisp flesh. 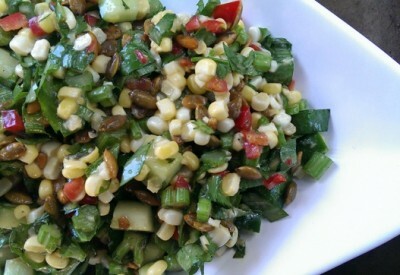 You can use your greens in a slaw or braise them with other greens- like your beet greens- or collards. 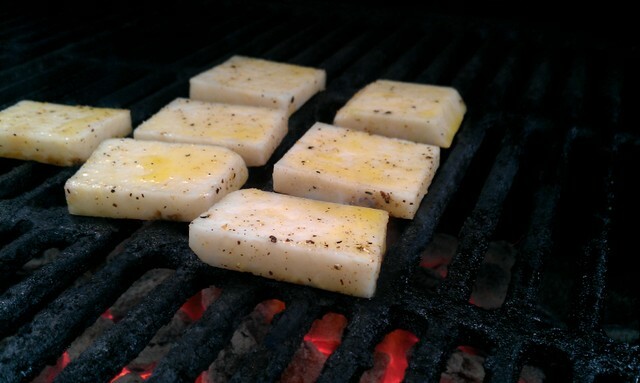 Cut the kohlrabi into half inch thick planks. 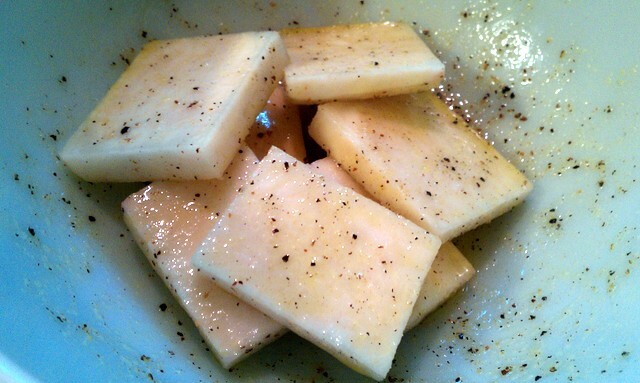 Toss with canola oil, salt and pepper. Place on your hot grill and just kiss it with the heat. Get nice grill marks on each side. We cut ours into cubes to top our grain/ nut mixture. 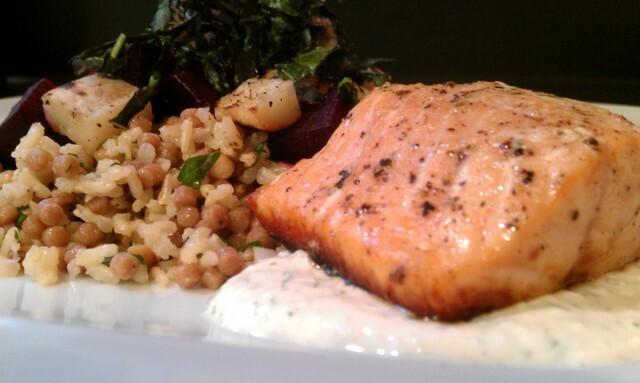 For our protein in this meal, we chose skin-on salmon filets. 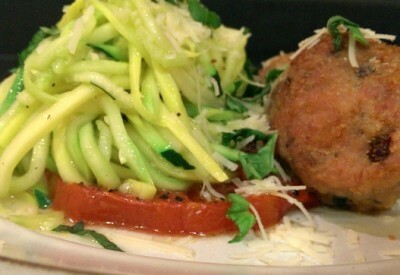 Super good for your body, and so very delicious. 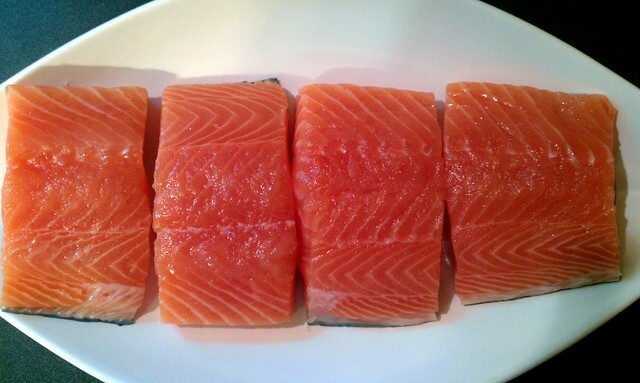 I think a big part of properly cooking salmon is trimming it. The goal is to have a uniform piece of meat to cook. If there are thinner bits of meat, I trim them away. My dog LOVES when we cook fish. That’s some expensive dog food, I understand, but the skinny parts will only burn and become overcooked and fishy. So, aim for even filets. Also- be sure to check for pinbones, and pull any you find out with tweezers or your fingers. I’ve cooked salmon on the grill before only to be saddened by the fish sticking to the grates and ending up a messy, ugly fail. This time, we chose a single-side grilling technique to avoid such regret. Make sure your grill is very hot and well-oiled. Also, rub both sides of the fish with canola oil, salt and pepper. Then, place the skin side down on the hot grill and put the lid down. It only took about 8 minutes to render a succulent (and pretty!) piece of salmon. No turning, no tearing, no mess. During those eight minutes, I made what I’m calling crispy kale straws. 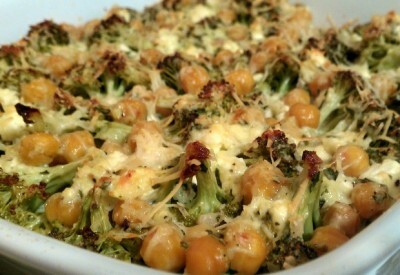 My vision was to provide light, crunchy kale to top the pilaf and veggies, offering another layer of texture to the dish. 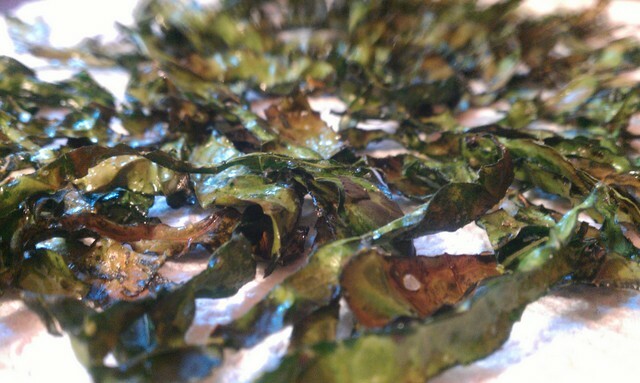 I washed and spun a few leaves of kale dry, cut them into short, thin ribbons, and tossed them with olive oil, salt and pepper. 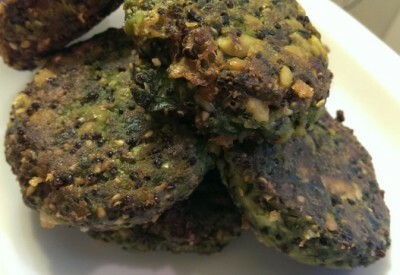 Then, I placed them in one layer on a sheet pan in a 400° for 4 minutes. 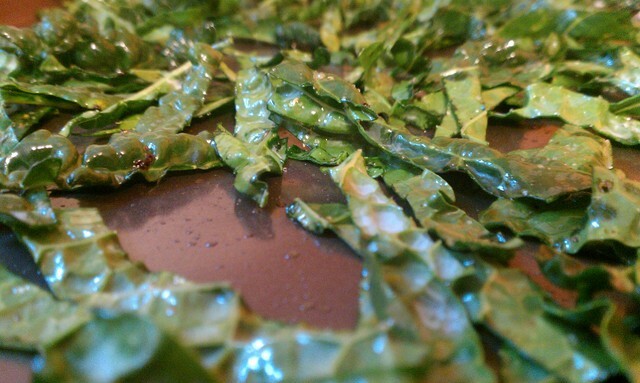 As the kale began to color around the edges, I flipped the strips over. I cooked two more minutes. Done. 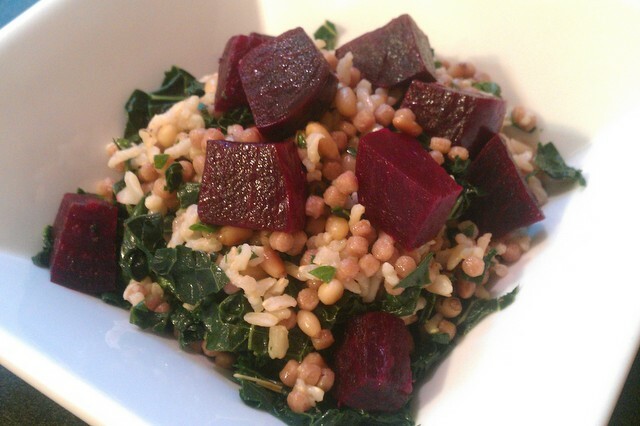 *When playing this game, be sure to roast your kale on a light colored sheet pan. 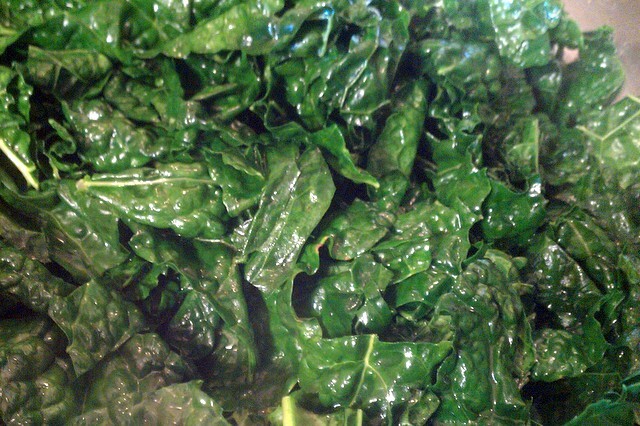 Roasting on a darker pan will cause the kale to cook much faster and burn. 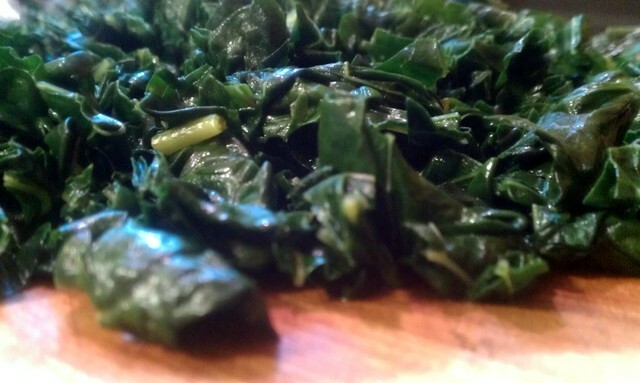 Or, use that darker pan, and cook the kale for less time. To plate this ensemble of pieces and parts, we went two different ways, Adam and I. 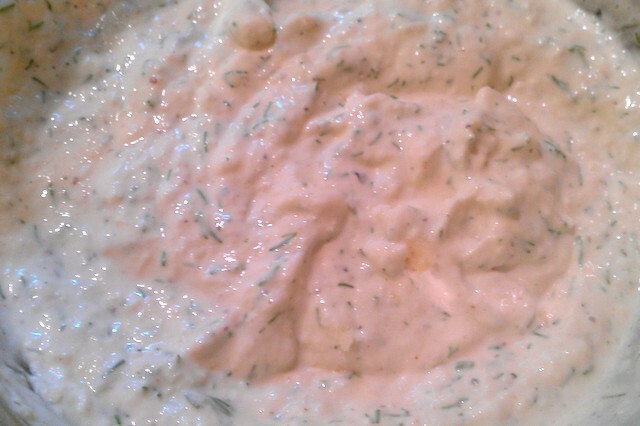 On one plate, we made a shmear of horseradish dill magic sauce first and placed the salmon on top. 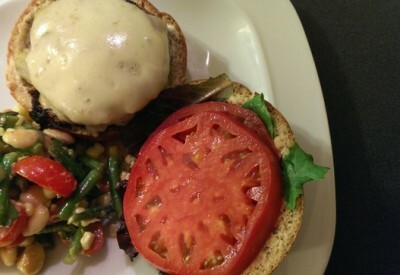 (Very Top Chef-ish that shmear on the plate situation.) 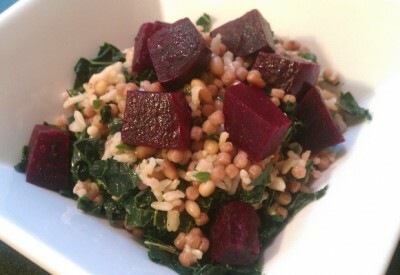 Then, we made a bed of pilaf and topped it with our beets and kohlrabi and placed a little handful of kale straws on top. And then, the sauce-on-top method. 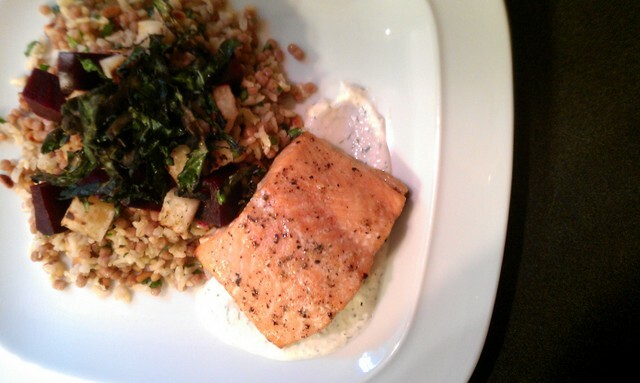 Same structure for the rest of the dish, but showing off that white sauce with reckless abandon. My level of love for the flavors in this meal is serious. 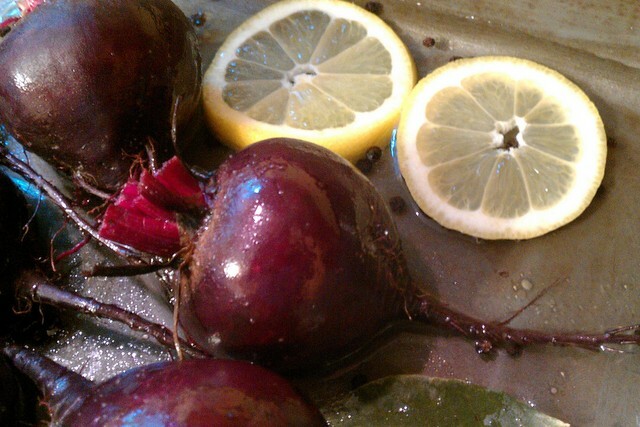 The beets didn’t taste like lemon even a little. But, somehow that acid helped to soften the edges of the beets’ earthiness, leaving us with the cleanest, purest, silkiest beet I’ve ever enjoyed. So fresh and sweet. They were amazing. I found myself gently smashing them against the roof of my mouth with my tongue, letting their flavor linger as long as possible. And, the beets with the horseradish dill sauce?!??!? Uh-mazing. What a pairing! 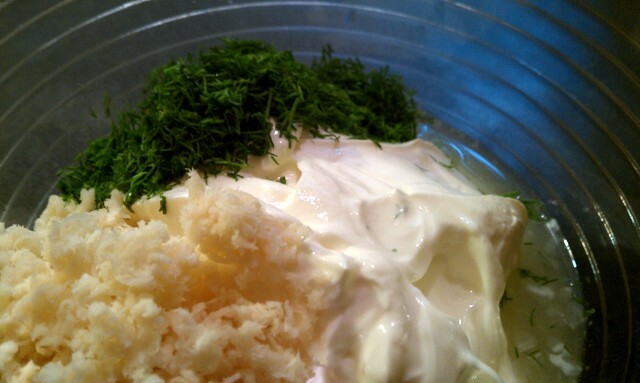 If you see me out and about and I have horseradish dill sauce on my face, it’s because I can’t stop eating it. Refreshing, spicy, light, and sophisticated- I think. Not clunky or overbearing. 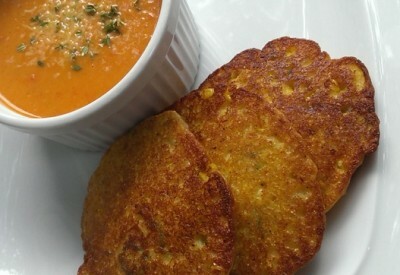 The dill worked smashingly with the horseradish to make something spectacular happen. Yum. Our salmon was delightful. It melted like buttah in my mouth and had a great meaty quality to it. No fishy flavor to speak of, just a hint of smokiness from spending a few minutes on the grill. 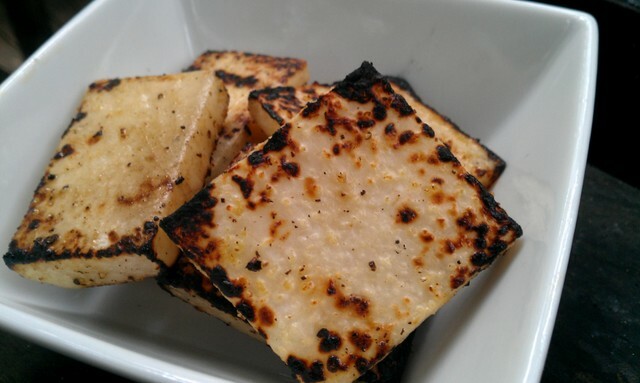 The grilled kohlrabi brought a sweet tanginess to the plate along with a splash of moisture. 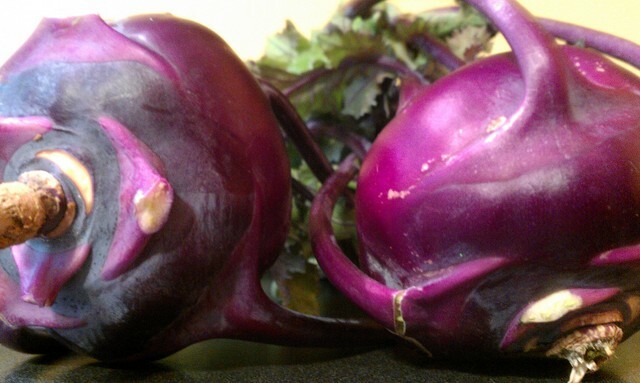 I’m not sure how kohlrabi retains so much moisture when it cooks, but it makes me happy. 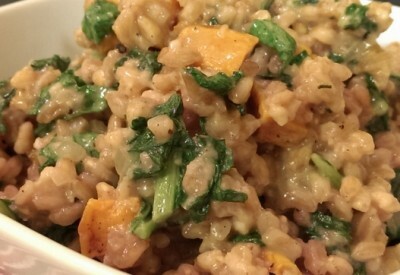 The multi-grain pilaf concoction was wonderful. 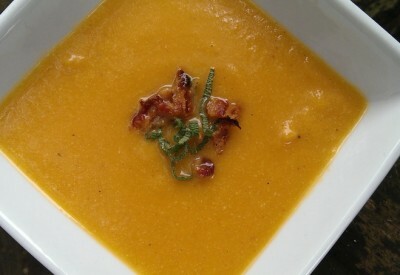 It provided interesting flavors and textures all along the way. The crispy kale straws? Well, I think they were superfluous. 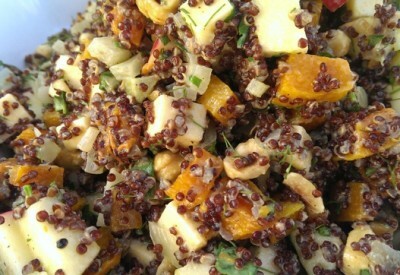 They make a better snack by the handful than a topper for all of the loveliness happening on this dinner plate. That bummed me out some…I like to nail the dish 100%. *It’s okay. Sometimes, that one last step is totally unnecessary. Adam and I actually enjoyed this meal for lunch on a Saturday (decadent, huh?). It didn’t weigh us down one bit. 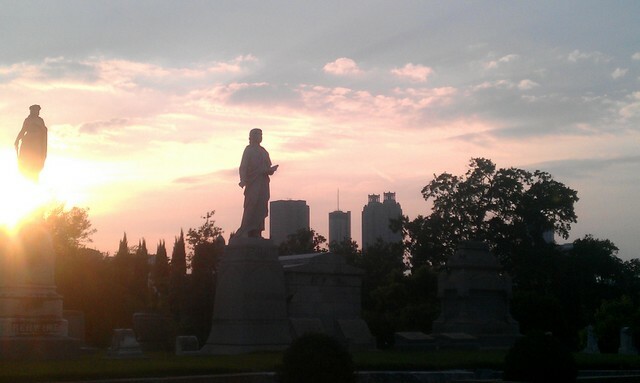 We headed out to Tunes from the Tombs in Oakland Cemetery to meet up with friends and do a little afternoon groovin’. If you know me well, you will not be surprised that I learned something huge here. 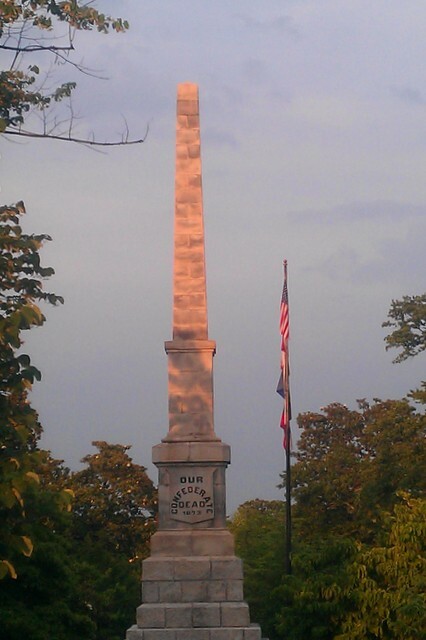 *Not all cemeteries are creepy. This may not come as a surprise to you, but it did to me. 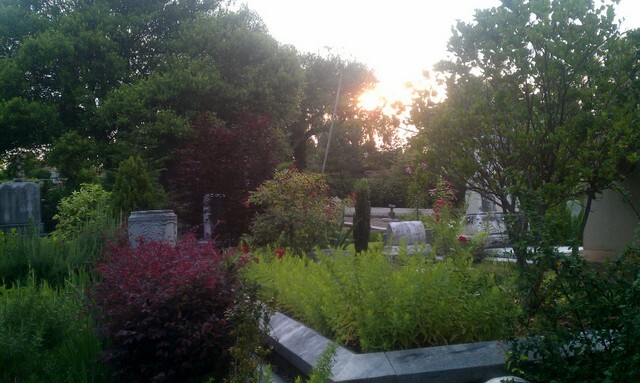 I’ve had a long-standing beef with cemeteries, mainly because the one my grandparents and their siblings (may they rest in peace) are buried in completely freaks me out. The headstones are too close together for me to understand how the people fit in between. I always feel like I’m stepping on someone and that makes me uncomfortable. 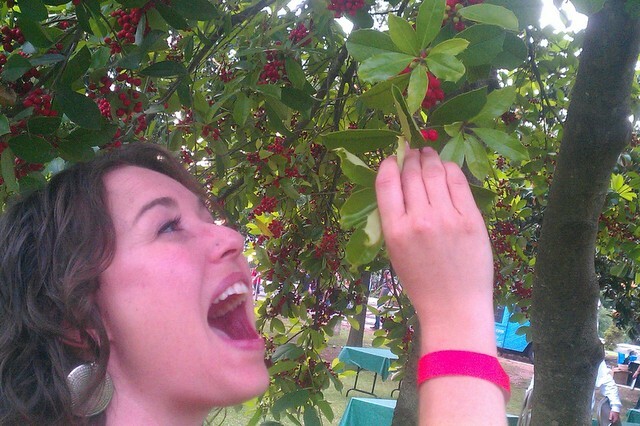 However, I spent the afternoon in what felt like a giant, lush garden, and I had a perfectly enjoyable time. It’s honestly a beautiful place, full of trees, flowers, and the earthly reminders of many people who were loved. 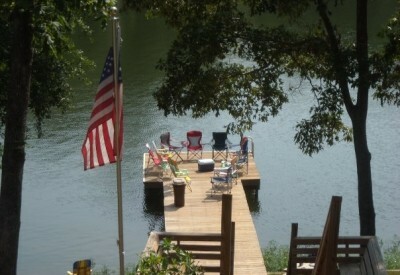 I was able to relax after being there for only about ten minutes or so. 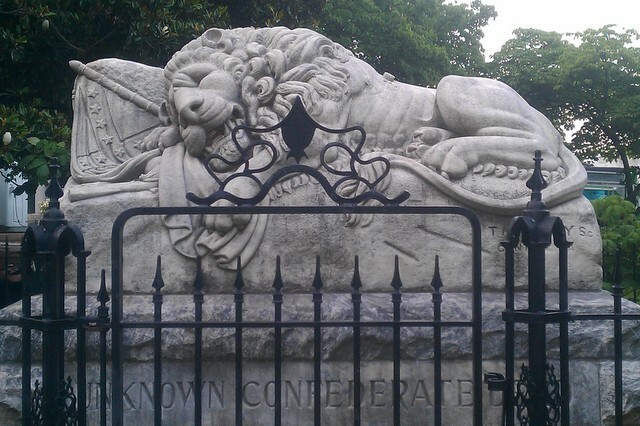 The monument and Sleeping Lion both honor the Unknown Confederate Dead. It felt distinctly southern there. Giant magnolias were in bloom everywhere, and the smell of gardenias permeated the air. This is the creepiest shot of all, and still- it’s quite peaceful. The Atlanta skyline is in the background. Home. 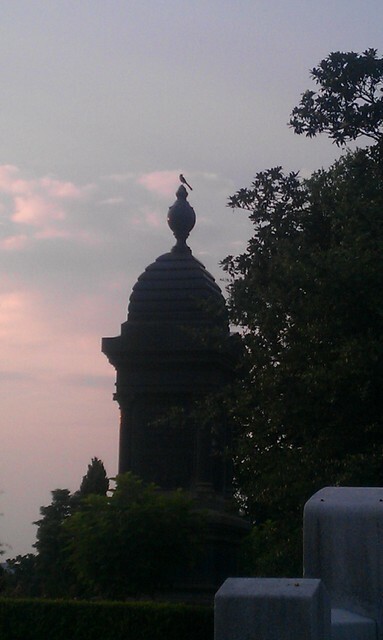 That bird has a fantastic view, and I understand why he likes it there. I am not too old for change. I relearned that yesterday. Thankfully. With leftovers from our Saturday lunch, I made one unbelievable breakfast on Sunday. This time I sauteed my kale, adding a splash of chicken broth to help it cook down. 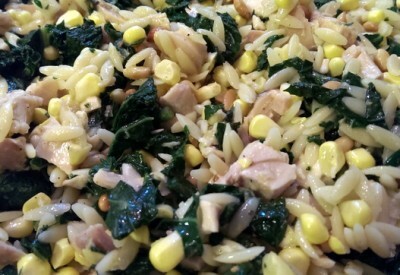 Then, I chopped the kale and mixed it with my rice pilaf. 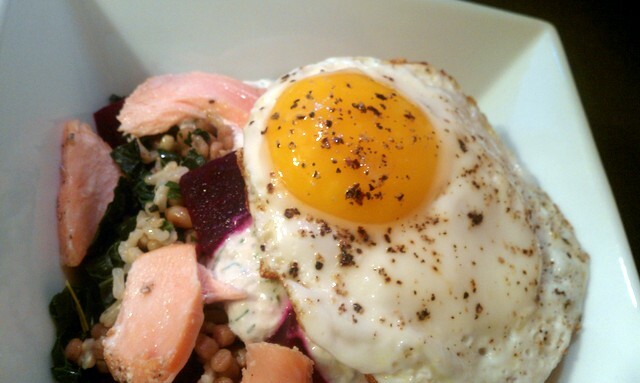 I put some luscious beets on top, followed by the magic sauce, room temperature salmon- flaked apart with my fingers, and a rich, runny egg. It was a bowl full of heaven. 100%. I hope that you’ve got some new ideas in your pocket and inspiration to help you cook with fresh, seasonal veggies this week. I also hope that you, like me, are wide open to learning more about yourself and the world each day. Happy cooking and eating to you!